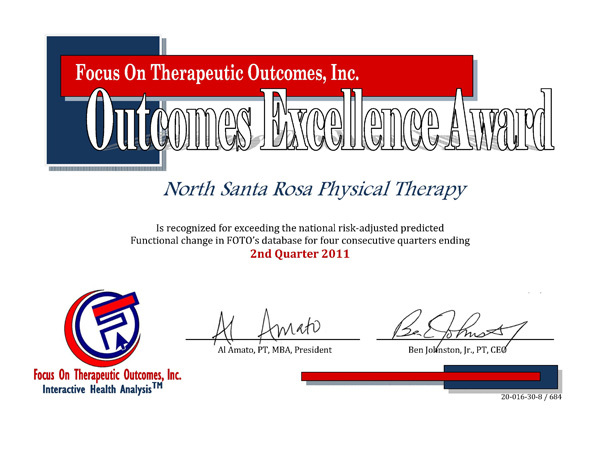 North Santa Rosa Physical Therapy participates in an outcomes measurement program called the Focus on Therapeutic Outcomes (FOTO). 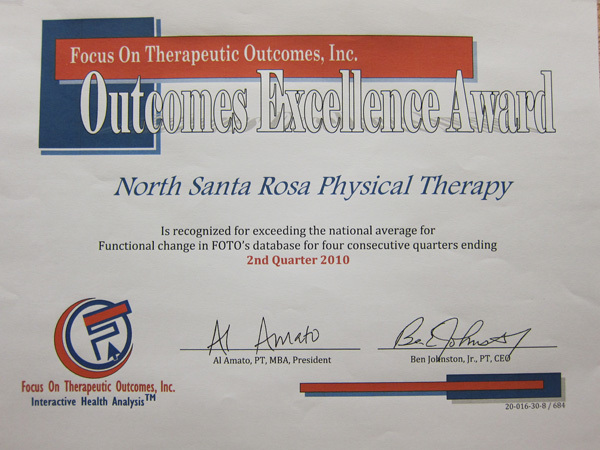 This is a scientifically validated system that measures the quality and efficiency of physical therapy providers nationwide. It tracks patients’ ability to function and how that ability improves during treatment, based on patient questionnaire. All provider offices may then be compared to benchmark standards derived from a national data base. At North Santa Rosa Physical Therapy, we welcome the responsibility to participate in the FOTO program. We feel this rigorous self-examination helps us with continual improvement. 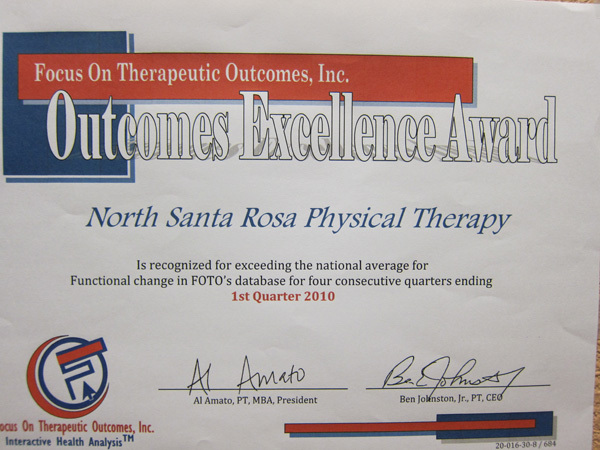 We are happy to report that the outcomes scores for North Santa Rosa Physical Therapy have consistently been above the national and regional average. Our patients are achieving higher than average functional gains when compared to our peers and against a national benchmark of expected outcomes. We invite you to visit the FOTO website at www.fotoinc.com for additional information.